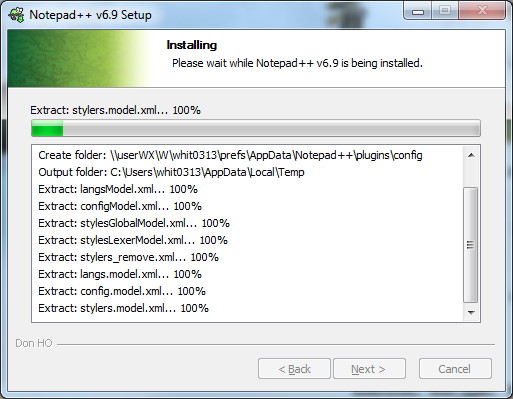 Installation hangs on "Extract: stylers.model.xml... 100%"
Hi All, I’m trying to install Notepad++ version 6.9, and it gets partway through then hangs on “Extract: stylers.model.xml”. See screen cap here. I believe this happened once before, in early 2008 (see here and here and here) but I haven’t been able to find anyone else who’s had this recently. I’m on Windows 7 Enterprise (service pack 1) on a 64-bit Intel machine, and I do not have admin rights (it’s a work machine) but I do have elevated rights to install software. And as you can see from the screen cap, my profile is on a UNC path on a server … but I don’t know if that’s relevant at all. at the moment I don’t have such an environment to test it but I can certaily imagine that this might be problematic. Can you check on the server if there is anything installed? 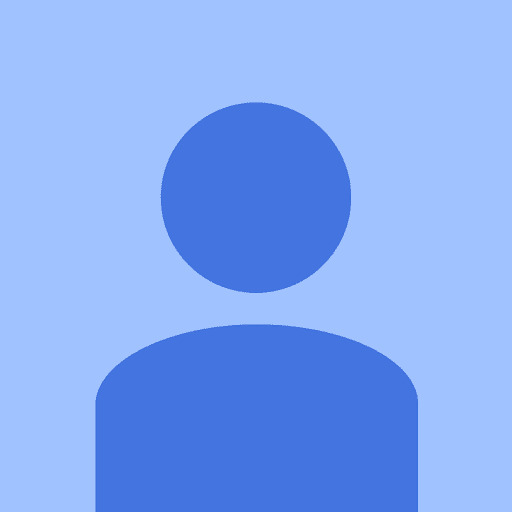 Any file?